In any given year, 12 million Americans take out a payday loan, which often comes with a triple-digit annual interest rate. And, as four in every five of these borrowers aren’t able to afford these usurious rates, millions end up saddled with unsustainable debt. This article originally appeared on TalkPoverty.org. But like a hydra that just keeps regenerating, payday lenders often spring back when states try to rein them in. Take Ohio, for example. 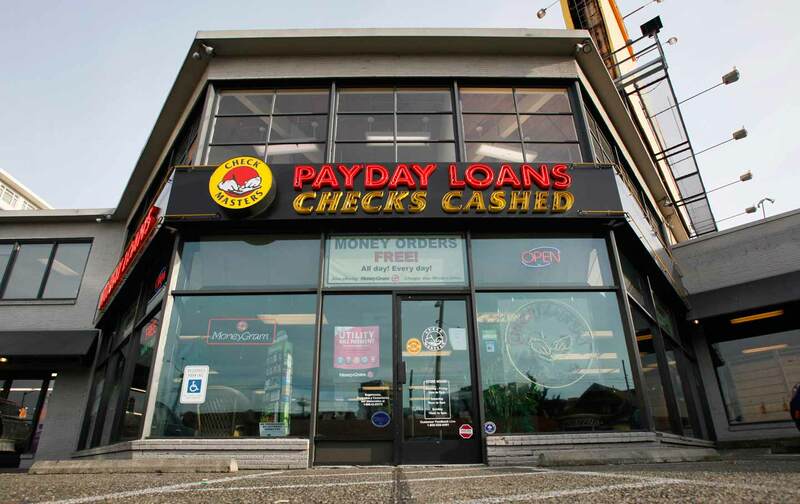 After 64 percent of Ohio voters—and a majority in 87 of the Buckeye State’s 88 counties—voted to ban payday lending in 2008, lenders just rechartered themselves as mortgage lenders under state law, despite not making any home loans. And after payday loans were banned in Arizona, lenders switched over to making pricey car title loans. This struggle to regulate lenders at the state level is one of many reasons why the federal Consumer Financial Protection Bureau (CFPB) is working on a proposed rule to curb payday loan abuses. Unfortunately, some members of Congress from Florida are defending lenders in their race to the bottom. Last year, the entire Florida Congressional delegation, with the exception of Representative Thomas Rooney (R-FL), sent a letter to CFPB Director Cordray arguing that new rules are unnecessary because Florida’s regulations are “among the most progressive and effective in the nation.” Recently, they went one step further, when 12 Floridians in Congress—seven Republicans and five Democrats—sponsored the so-called Consumer Protection and Choice Act. This bill would block CFPB’s actions for two years. It would also exempt states from having to adhere to the new CFPB rule if they model their own laws on the Florida regulations. Ten other members co-sponsored the bill, including two Ohioans who apparently missed the results of their state’s 2008 referendum. If Florida were indeed a model state on regulating abusive lending practices, this legislation might make sense. New York, for example, has a 25 percent interest-rate cap, and state officials have also aggressively pursued lenders that try to skirt the law by making illegal loans over the Internet. Indeed, 14 states and the District of Columbia have similar rate caps that protect consumers from dangerous loans. The Pentagon is also a model: under the Military Lending Act, loans to service members and their families are capped at 36 percent annually. But Florida’s annual interest rates average 360 percent, and payday lending drains an estimated $76 million a year from the state’s economy. That’s hardly “progressive and effective,” nor is it a model we should aspire to replicate nationwide. While the CFPB’s proposed rule is yet to be announced, it will undoubtedly go farther than states like Florida in stopping these kinds of debt traps. It should require lenders to determine whether the borrower is actually able to pay back the loan—a common-sense approach that can stop financial problems from cascading down the line. And it should ban a lending practice that amounts to legalized pickpocketing: repeated automatic withdrawals from a borrower’s bank account as soon as funds are available, even if the borrower has more important bills to pay. These actions would make it harder to exploit vulnerable borrowers and also complement states’ authority to cap interest rates. Americans want something done about the payday lenders that are taking money out of the community and causing great financial distress. In fact, every time the issue has gone to the polls—in Ohio and Arizona in 2008, and Montana in 2010—responsible credit has won. It’s time for members of Congress to listen to the will of the people and make it harder for their vulnerable constituents to get ripped off. Joe ValentiJoe Valenti is the Director of Consumer Finance at the Center for American Progress. Alice VickersAlice Vickers is the Director of the Florida Alliance for Consumer Protection.